Haplogroup S was formerly called K5 and was first called S in the Karafet et al (2008) paper. Y-DNA haplogroup S is a major haplogroup in the highlands of mainland Papua New Guinea where it is found at frequencies of around 50% in some populations and is also present at lower frequencies in adjacent islands of Indonesia and Melanesia and even in the Philippines. Bergstrom et al, Deep Roots for Aboriginal Australian Y Chromosomes. (pdf) Current Biology, 26:809-813, (2016). Bergstrom et al, A Neolithic Expansion, but Strong Genetic Structure, in the Independent History of New Guinea Science, 357:1160-1163 (2017).Cox M P & Lahr M M, Y-Chromosome Diversity Is Inversely Associated with Language Affiliation in Paired Austronesian- and Papuan-Speaking Communities from Solomon Islands. (pdf) American Journal of Human Biology, 18:35-50, 2006. Kayser et al. Reduced Y-Chromosome, but Not Mitochondrial DNA, Diversity in Human Populations from West New Guinea. American Journal of Human Genetics, 72:281-302, 2003. Scheinfeldt et al, Unexpected NRY Chromosome Variation in Northern Island Melanesia. Society for Molecular Biology, 2006. 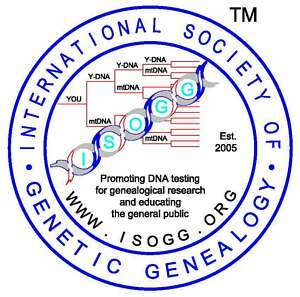 Copyright 2018, International Society of Genetic Genealogy. All Rights Reserved.